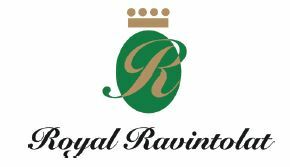 is the largest and oldest registered yacht club in Finland. The club has more than 2,600 members. The language of the club is Swedish. NJK is a versatile club with activities for all the different member categories. The club aims to advance seamanship, enhance social life and keep its position as the leading yacht club in the country. Much effort is put into promoting the sport of sailing among juniors as well as senior members. The club has qualified coaches offering top class training at different levels. NJK was the first yacht club to introduce match racing in Finland, the Match Racing Center was founded.The name Match Racing Center was changed in 2014 to NJK Sailing Center as activities were expanded to fleet racing and sailing courses. The Sailing Center at NJK is open for all, membership is not required. Seven J80 boats owned by the club are at the disposal of the Sailing Center and this enables the center to organize match racing from grade 1 up to grade 5. Junior sailors have the opportunity to sail boats owned by the club such as Optimists (10), Zoom8s (10) and Rs Visions (3). The club was founded in 1861 upon approval of its rules by Czar Alexander II in St. Petersburg. At the time Finland was called the Grand Duchy of Finland and it was part of the Russian Empire. NJK has gone through many phases in its long history. It started as a yacht club without a harbour or clubhouse. The first pavilion was built on an island west of Helsinki. As the harbour was poor and no boatyard was available it soon became necessary to move. One of the club members owned a small island, Blekholmen, in the South Harbour of Helsinki, which he generously rented to NJK for a nominal annual fee of 225 Finnish marks (approx. 55 euros). The pavilion was then moved to Blekholmen where, over the years, it was reconstructed. 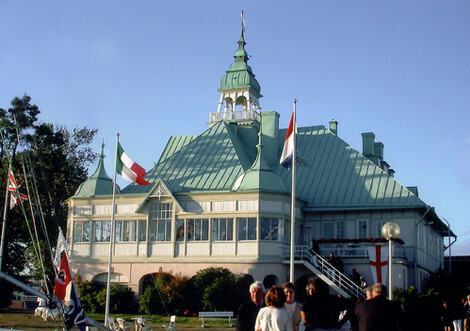 The present pavilion, designed by architects Estlander and Settergren, was inaugurated in August 1900 and has been carefully maintained. At the same time as NJK was founded it also got its first flag. The flag, white with a blue cross, was modelled on the flag of the Imperial Yacht Club in St. Petersburg. Depending on the ebb and flow of political matters the flag’s appearance was changed four times before the final design was adopted after Finland became independent in 1917. It was in 1919 that NJK took the initiative and designed a flag based on the original one. A white cross was placed within the blue cross and the club badge in the upper left corner. All boat clubs in Finland have the same flag only the badge indicates to which club the boat is registered. The flag mirrors the Finnish national flag. NJK has been a pioneer in racing under sail. The first race was organized the same year that the club was founded and on the club’s initiative the Finnish Sailing Association was founded in 1906,(today:The Finnish Sailing and Boating Federation). Union Bank of Finland, Fazer Finland and Belmont are names that are familiar to those who follow the world of sailing. The boats were all registered in NJK and they have all raced around the world flying the NJK ensign. The island of Blekholmen is situated in the South Harbour of Helsinki, right in the city centre. The island is a beautiful landmark when entering Helsinki from the sea and the big white wooden clubhouse with its green roof is one of the most photographed buildings in Helsinki. There are berths for 125 boats. Club members have 75 berths and the rest are reserved for visiting yachts. The clubhouse is well kept and it has a large collection of flags and burgees, the largest collection of half models in the Nordic countries, a historically valuable collection of trophies as well as paintings and photographs. The pavilion houses a gourmet restaurant open to the public and there are dining rooms reserved for members and guests only. There are toilets, a sauna, showers, washing machines and tumble dryers for the comfort of harbour guests. The harbour is visited by approximately 500 guests during the summer months. As it is prohibited to discharge waste into the sensitive Baltic Sea the guest harbour also has a pumpout station. The island of Björkholmen lies in the western part of Helsinki close to Drumsö Island. Björkholmen is connected to the mainland and NJK’s sailing centre is situated there. The NJK office, open all year round, is located in the red wooden clubhouse built in the 1980s. There is a cafeteria which is open during the sailing season. During the winter club facilities can be rented, both by members and non-members, for various events. Björkholmen has berths for 200 boats and in the winter it has around 150 boats laid up ashore. There are two ramps for dinghies and junior sailors have their own ”Dumle House” where they can store boats during the winter and use the facility for boat maintenance and storage during the sailing season. The Sailing Center on Björkholmen is very much alive from early May until late November, depending on the ice situation. Activities include sailing courses, races, match racing, fleet racing, lectures, and social events. Sailors have the comfort of a sauna with showers and lockers for their sailing gear. Every year the club hosts races and championships, some of them on an international level. NJK has ten harbours in the archipelago only a day’s sailing distance from each other, from east to west. The harbours with their mooring facilities are a valuable asset to the club as they offer members a sheltered harbour where they can enjoy a warm sauna after a wet day at sea. All harbours except two have a sauna. The vast majority of the club members do not race but cruise. This might seem a contradiction in terms given how much effort is put into racing. However, this is a strategy that has been agreed upon from the beginning and the club’s ten islands provide ample compensation for those interested in cruising. The present ten natural harbours are well maintained and every year major improvements are made where needed. Cruising in the Baltic is popular and some members extend their cruises to Sweden, Denmark, Norway and even further. NJK is very proud of its natural harbours and extremely grateful to those members who have made it possible for the club to possess so many beautiful islands. The club owns two and the rest are leased. Their worth increases from year to year in tandem with the increasing number of leisure boats in the archipelago all looking for a sheltered mooring. The NJK harbours are reserved for members only. Treasurer and six members. The Commodores and the Treasurer are elected for one year and can be re-elected five times. Members sit for three years so that each year two members withdraw and cannot be directly reelected. The Board appoints the heads of the various committees. There are fifteen committees, which mean that a large range of yachting-related interests are covered. Club members, on a voluntary basis, ensure the continuity of the NJK’s traditions. The committees are accountable to the Board and each Board member heads a committee for which they bear full responsibility. 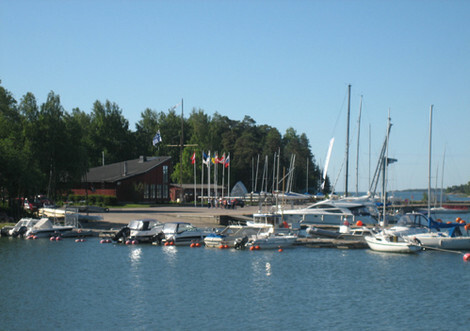 With its long history as the leading yacht club in Finland NJK is held in high regard in the other Nordic countries and by many influential yacht clubs around the world. As of 2011 NJK is a member of the ICOYC (International Council of Yacht Clubs). Through its many sailing activities NJK seeks to maintain a distinctive profile as a leading yacht racing club. NJK has been represented in all Olympic Games except two. The club is keen on having Olympic level sailors in the future and has teams preparing for the 2016 Olympics in Rio de Janeiro. As much effort is put into coaching and training future top competitors NJK has initiated a project called CHALLENGE. Together with The Finnish Sailing and Boating Federation and the Finnish Olympic Committee, NJK runs a training centre for elite sailors. Challenge strives constantly to develop training activities in order to improve the competitive level of its racing squad. Because of the city’s building plans the future of the Sailing Center at Björkholmen is one of the club’s biggest and most important concerns in the years to come. It is of course imperative that the new harbour will serve members in the best possible way, that it is big enough, and can be extended if need be. Constant work is being done together with the authorities and other actors to find a good and satisfactory solution for NJK.